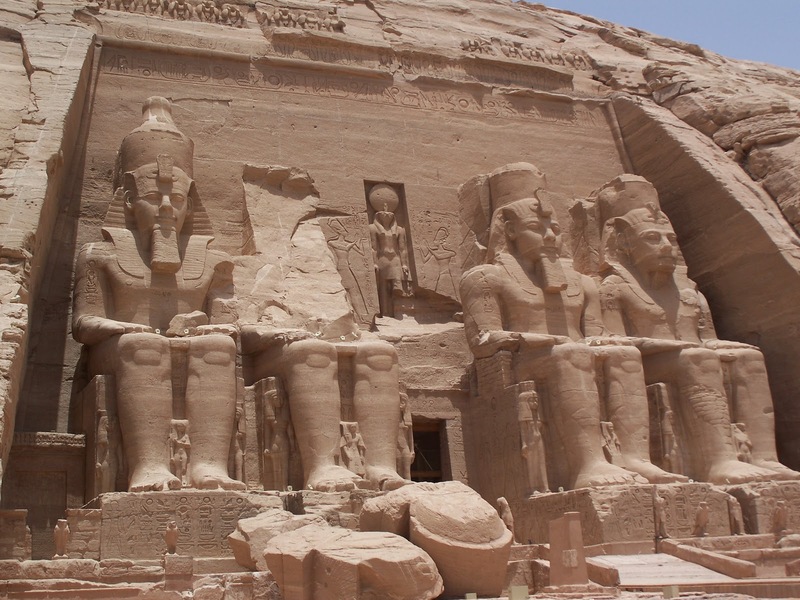 There are two temples at Abu Simbel: the Great Temple of Ramses II and the small temple of Nefertari, his Great Royal Wife. Both were excavated out of the solid rock of a mountain. 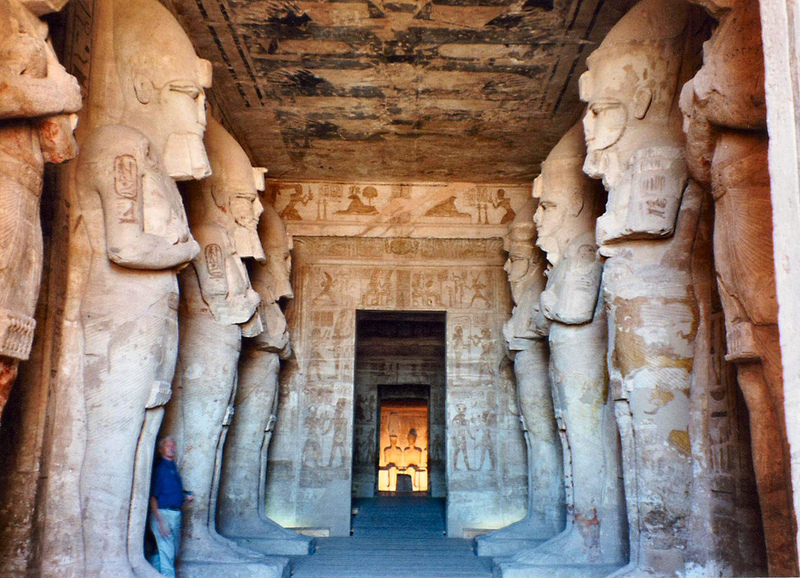 They could not, therefore, be dismantled, transported and re-erected elsew here, as with other temples. Here was a formidable challenge. 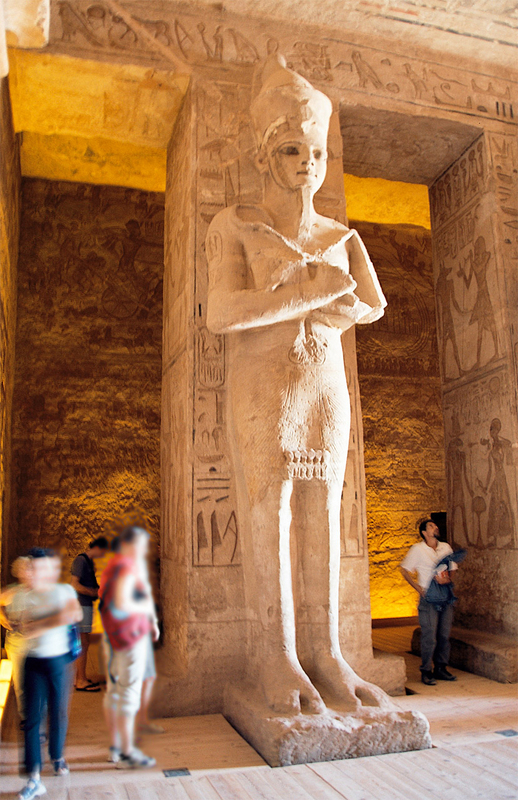 The Temple of Ramses II was the largest and one of the most magnificent monuments of the ancient world, and Egypt launched an appeal to UNESCO. The response was immediate. Countries from all over the world offered aid, both technical and financial. Many different proposals were presented and studied. Finally, in i960, a project presented by a Stockholm Company of Consulting Engineers was chosen as the most feasible and least costly. The basic idea of the ‘VBB’ Scheme, as it came to be known, was literally to saw the temple into transportable blocks and place them safely above the water level until they could be rebuilt sixty-four metres above their original site. An international consortium of contractors, working alongside archaeologists, laid out a plan of action. The first stage was the construction of a coffer-dam. 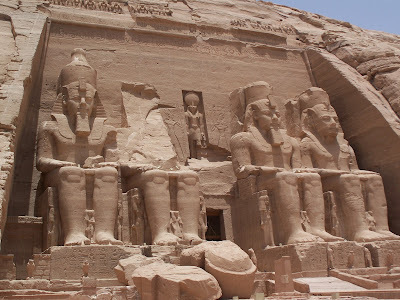 This was necessary so that work on sectionalizing the temples could continue even after the summer of 1964, when the old course of the Nile was closed and the water level began to rise. The sawing of the temple into over a thousand transportable pieces, some weighing as much as fifteen tons, was no easy task. Experiments were made with different techniques. Decisions had to be made on where the divisions should be made. Cranes carefully lifted each separate block. After hauling it to a storage site, it was pivotted to a huge piece of concrete for stability and then treated with resin for protection. Meanwhile the new site, on the top of the mountain, was being levelled with the aid of drills operated by compressed air. Explosives could not be used for fear of damaging the temples. Studies were then made on the bedrock to ensure that it could support the enormous weight of rock it was destined to bear forever; not the reconstructed temples alone, but also the great reinforced concrete dome that would cover it and support the weight of the reconstructed mountain. The project was completed in December 1968. 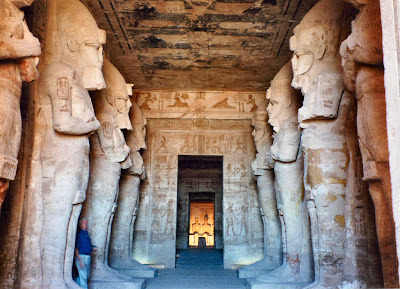 When approached from the front, the temples of Abu Simbel have their same orientation and setting. It was decided, however, that the artificial hill reconstructed over the temple should not be disguised from the rear. As the visitor approaches the site from the airport, it is the smoothed and ridged rock-fill over the dome that can be seen.